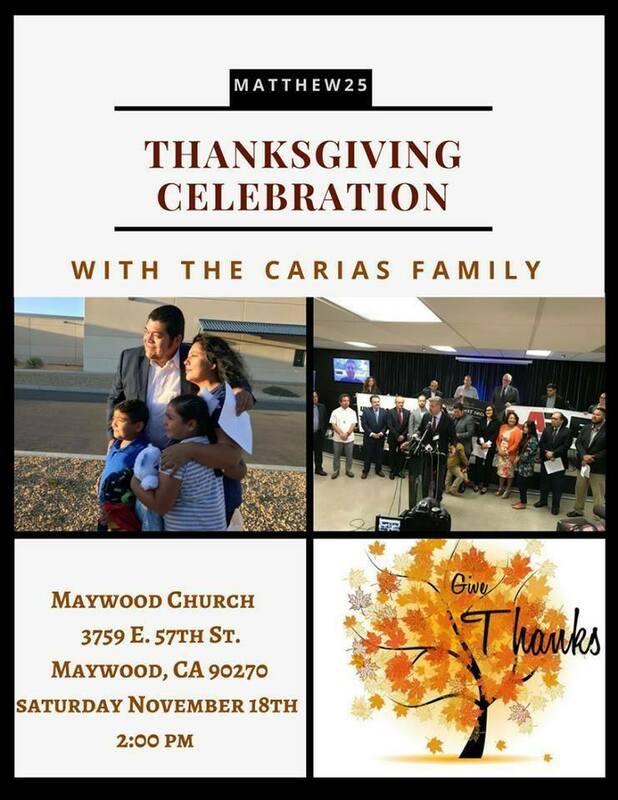 Thanksgiving Celebration with the Carias family! Join us as we thank God together! We will not stand by while his family is separated and his ministry harmed. If you can attend, please let us know which day(s) you will be there at the form on www.matthew25socal.org/noevigil. If you are somewhere else in the country, please join us in prayer, ideally in front of your local ICE offices. 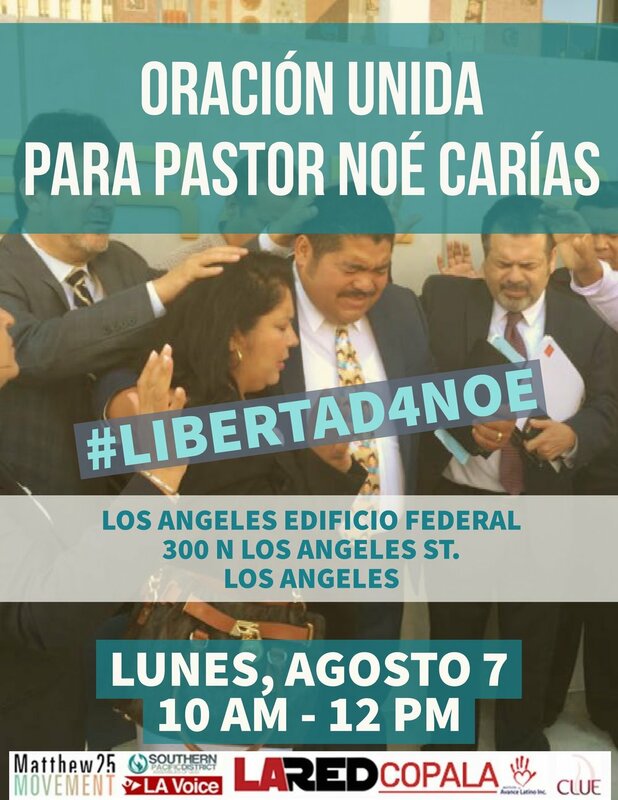 If you gather in prayer, please take a picture, post a picture with this hashtag #libertad4noe or #pray4noe and send it to matthew25socal.org with the date and place noted. We will continue to update you on upcoming and ongoing prayer vigils until he is released and his family reunited. Script: I am (Title/Name) from (Church/Ministry/Organization) and I am calling to ask for the reléase from detention of Pastor Noe Carias Mayorga who has qualifying cases through his marriage to a US citizen and his ministry as an Assemblies of God Pastor, has no criminal history and who has motions pending for removal of 25 year old deportation orders resulting from entering without permission as a teenager. We are calling (writing) on behalf of Pastor Noe Carias who has been detained by ICE. 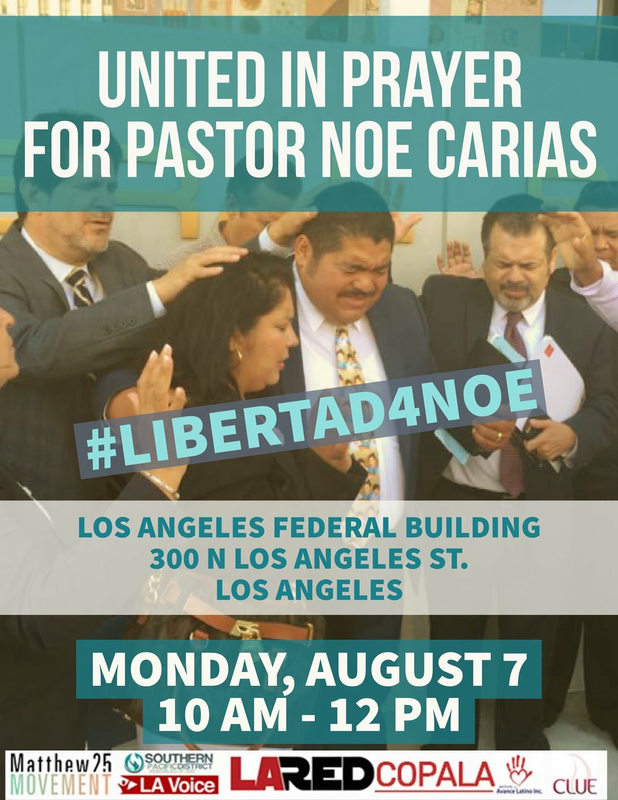 We are asking for you to investigate the case of Pastor Noe Carias, to advocate for him to be released from detention and to initiate the review and revision of applicable Homeland Security priorities. Thank you for signing up for Pastor Noe Mayorga’s vigil. Your support can help him get released. We look forward to seeing you at the ICE office at 300 N. Los Angeles St. in Los Angeles between 10am - 1pm.